We’re making the call early to cancel Monday morning yoga. We anticipate things will be a big congested already on the island with traffic and additional visitors for the solar eclipse and related parties. Sadly we are also tentatively expecting rain. 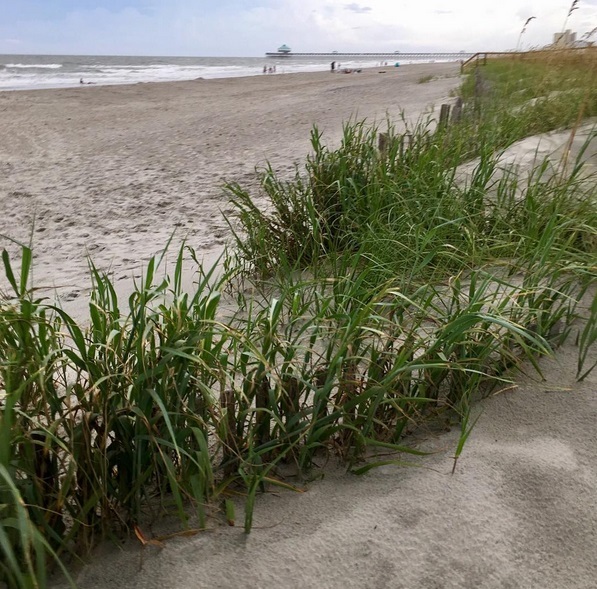 Even so, we hope to see you and your family out on Folly Beach for yoga on Saturday at 9 a.m.! With beach yoga for kids ages 3 and up as well as a concurrent adults yoga class, it will be the perfect family friendly event! Also as a quick reminder we will be offering a free beach yoga class for autism parents and caregivers tomorrow evening (Friday 8/17) at 7 p.m. Updates for weather are shared on our Facebook page. Please like and follow up to get regular updates on our events and maybe even some fun yoga tips! Another beautiful beach yoga class by the sea with the very iconic Folly Beach Pier in the background. This space is so great because it’s a little out of the busy area of downtown, but still has that VIEW! 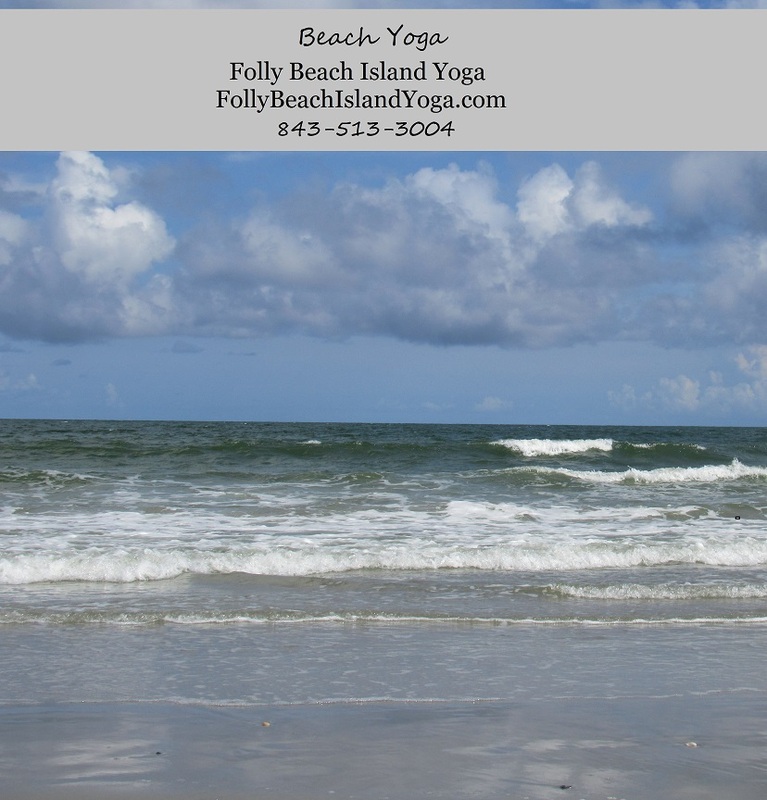 Hope to see you for beach yoga soon! 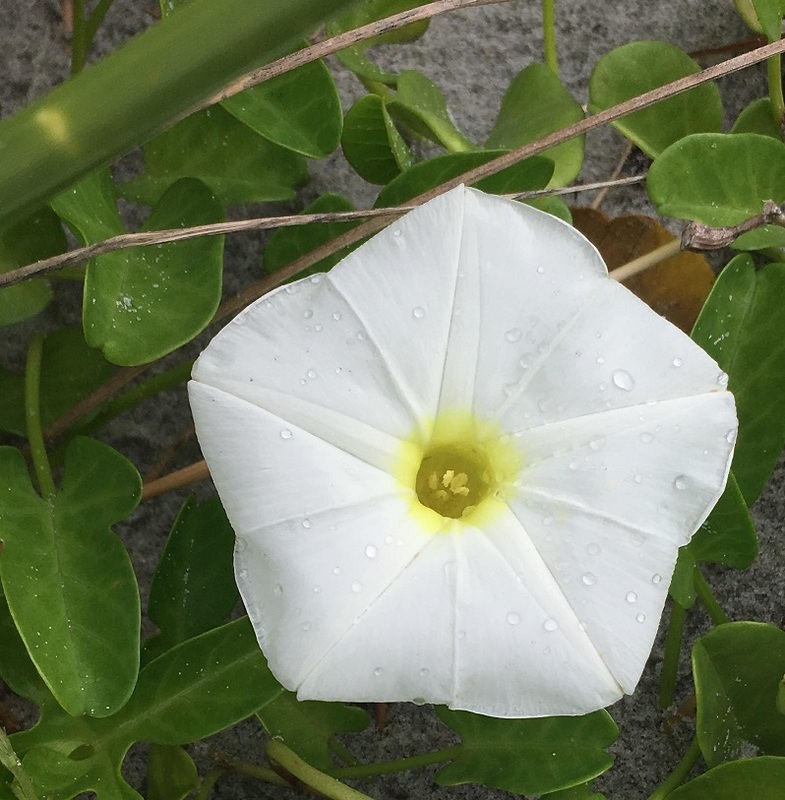 Love the morning glories on the dunes at our beach yoga spot! They almost seem surreal how they pop up all over the place on the sand dunes and then disappear so suddenly every evening. There’s something magical about that! I just loved the look of this one with the drops of rain collecting on it.